You may have seen dance-offs or even sing-offs, but have you ever seen a battle of saxophones? If you are a fan of jazz music or just love watching people have a good time, you will enjoy this video. 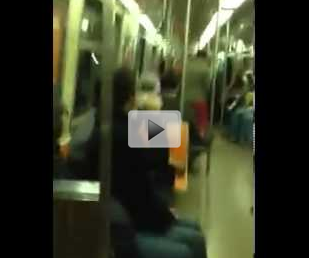 This battle of saxes takes place in a subway in New York. Watch this video and decide for yourself who should be declared the winner. But be aware this is not the highest quality video.